Everybody knows the worst thing about Nerf guns are the bullets. They fly ok and don’t hurt too much but you never quite have enough do you? 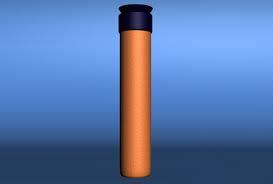 After you empty a clip you are left with hunting bullets hidden all over the house and every day you repeat this process you will invariably find yourself one short. Don’t worry, you can shell out $10+ to get a couple refill clips. That should last you another week. Well ladies and gentlemen, it is officially the future, because someone has finally found a solution to this problem. 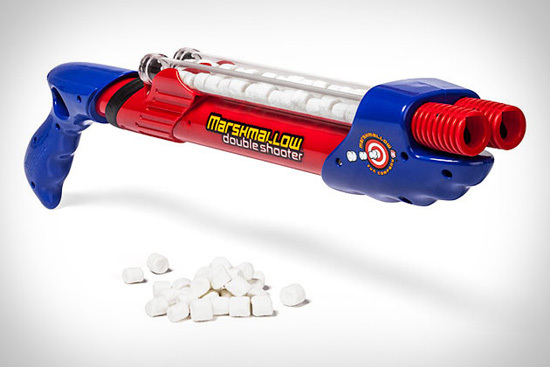 No longer must you hunt and retrieve your ammo, because now you are firing marshmallows! I would just recommend perhaps buying a dog. As an added bonus, here’s a blog post from an awful mother who has apparently figured out how to get around the whole ‘nerf uses safe bullets’ thing and gives her 5 year old a gun that shoots NEEDLES.